Innovative 8318 FLEXmount is an Innovative mount that offers six different configurations - all in one kit. This large FLEXmount version is compatible with Innovative's heavy-duty arms with extended shaft. The FLEXmount even handles mounting scenarios such as thick desk edges, desk edges with longer trim and surfaces with a small lip. Best of all, if you decide to change the way the arm is mounted several months after purchase, there is nothing more to buy - simply reconfigure your FLEXmount. 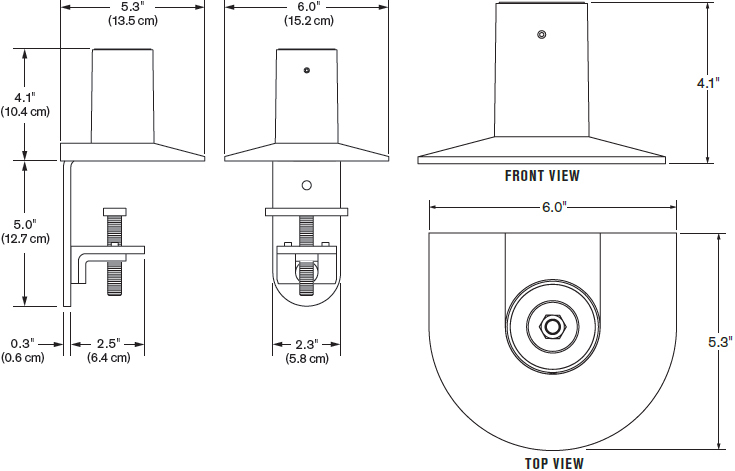 FLEXmount with six mounting options, including: desk clamp, thru-desk, grommet, wall, reverse wall and side bolt. Compatibility: 7500 Series Articulating Mounts and Dual Tier Pole Mounts. For 7000 Series Articulating Mounts and Single Tier Pole Mounts use the 8111 FLEXmount.